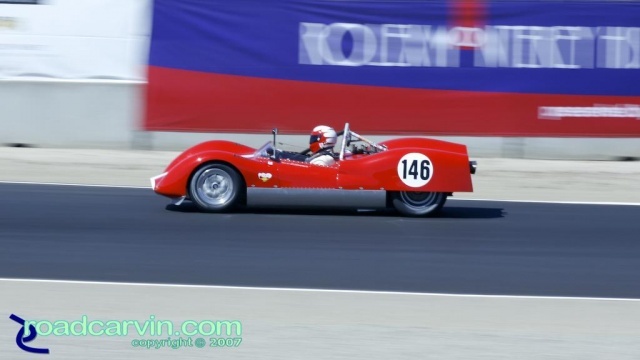 This 1963 Huffaker Genie took 1st place in the 1961-1965 Sports Racing Sunday Group 6B race. This car sports a 5,687cc V-8. Submitted by Dwight Domonkos on September 14, 2007 - 8:58pm.